Biosecurity. The perfect schedule for succes! Pigfarm Consulting, the best option to achieve productivity targets on your farm with the latest techniques. Worldwide consulting on pig farms. 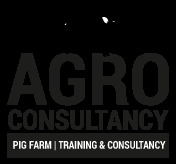 Training, advice and pig consultancy. Feeding piglets for optimal breeding. The Swine Management Services by Agro Consultancy guaranteed success! Swine Consultancy. We will give you the best results over the whole world.